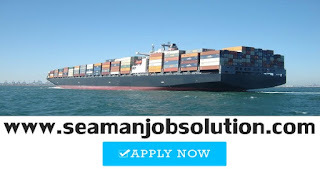 Container ship jobs opening recruitment position for ordinary seaman joining date A.S.A.P. Maersk Line is very interested in receiving applications from qualified experienced seafarers for the above-listed position for Container Vessels. - Safe and efficient operations, in accordance with the Master's, Chief Officers & Bosun's instructions, relevant legislation, and the Company's GLMS System. - Knowledge of, adherence to, and implementation of the Company's policy (02-100). - The AB / OS when on Navigational Watchkeeping duties shall keep a lookout by sight and sound and report to the Officer of the Watch (OOW) as soon as vessels, navigational marks or objects are sighted or heard. - The OS can perform navigational watchkeeping duties only if he/she is carrying valid watchkeeping certification. - When in Port on Gangway watch the AB / OS will monitor the boarding and disembarkation of all persons as per the Ship's Security Plan (SSP) and report any breaches to the OOW or Ship's Security Officer (SSO) When in port on normal watchkeeping the AB / OS, under supervision of the OOW will tend the moorings as required. - Assist with the storing of the vessel whenever the need arises as directed by the Master / Chief Engineer or their deputies (OOW) Security Gangway Watchman. 1. Minimum of 12 months service on deck on foreign-going ships or may be instructed by the Principal. 2. COP issued by the national administration of respective countries. -Use of maintenance and power tools -Splicing of wires and ropes -Understanding of lookout duties. 0 Response to "Hiring OS With 12 Months Service"